From the rear side cover: Cambridgeshire had been marked out in the 1930s as a county of importance for the RAF. At the outbreak of war there were airfields at Alconbury, Wyton, Waterbeach, Upwood, Oakington and Bassingbourn. Others soon followed including Bourn, Warboys and Graveley. From these, young aircrews, whose average age was 22, flew dangerous and often suicidal missions into the dark, cold, smoke-filled skies above Germany. They had to contend with adverse weather conditions, intense physical and mental fatigue, searchlights, flak, and the Luftwaffe night fighters. Their Commander in Chief Sir Arthur Harris wrote to Churchill of 'the two o'clock in the morning courage of lonely men, their acts hidden by darkness from their fellows, determined to press home their attack'. It was from Cambridgeshire airfields too, that the legendary Pathfinder Force (PFF) first took to the skies, marking targets for the bombers behind them with a precision that called for reckless heroism. 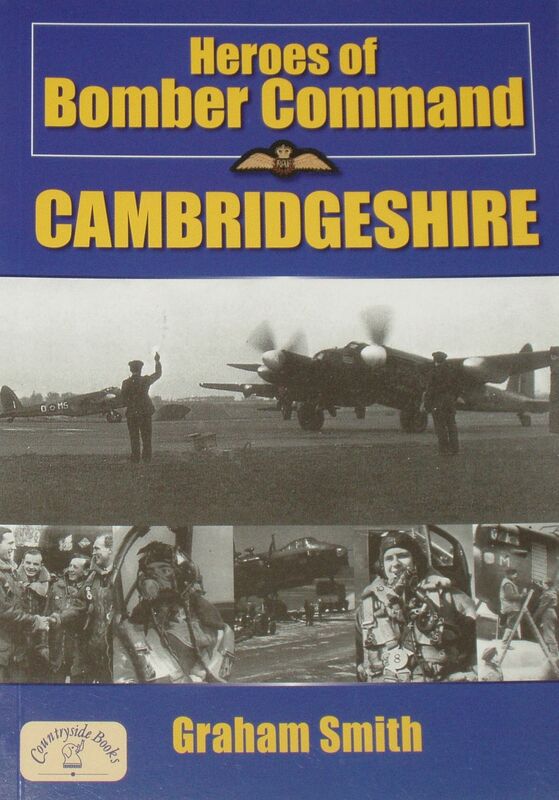 Bomber Command suffered no less than 55,500 airmen killed, some 7,400 wounded, and over 9,800 made prisoners of war. Many heroes emerged and countless Gallantry medals were awarded, including twenty-one Victoria Crosses.